Rays engraving education, however, was gained the same way as many others from his generation of engravers. That education was received from trial an error and backward engineering in the School of Hard Knocks. There wasn’t much available in the way of engraving classes back then. 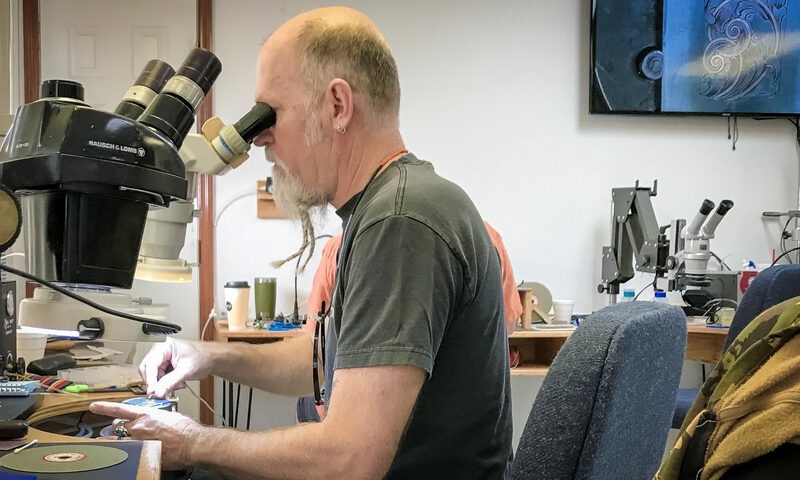 Most who wanted to learn engraving either had to find an established engraver to teach them, (which was hard to find due to the “Trade Secret” mentality that so many engravers had back then) or they had to teach themselves. 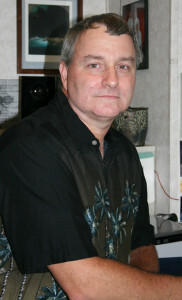 Seeing the value in teaching others, saving them the long learning curve and frustration of trial and error, Ray remodeled his studio into a teaching studio and started teaching classes there in 2006. People have literally come from all over the world to take a class from Ray. In 2012, Ray realized that if he took his classes to the students rather than having them travel to him, it would make the classes much cheaper by cutting out the students travel/hotel/car rental cost, thus making it affordable for a much wider range of people. After conversations with students and friends to “brainstorm” the idea, Ray changed his business plan and took his classes on the road. This has been a VERY successful move on Ray’s part. The number of classes and students taking classes has grown. Ray bought a small camper trailer and pretty much gutted it and turned it into a portable studio and living space. Today Ray travels all over the country in his camper teaching classes at various levels and doing his own engraving work on the road. As you can see below, he has a great studio to work from – anywhere he goes!